Let’s commit to the SDGs in 2019! "History is not created through premeditated actions. Rather, it is created by accident from unexpected results". 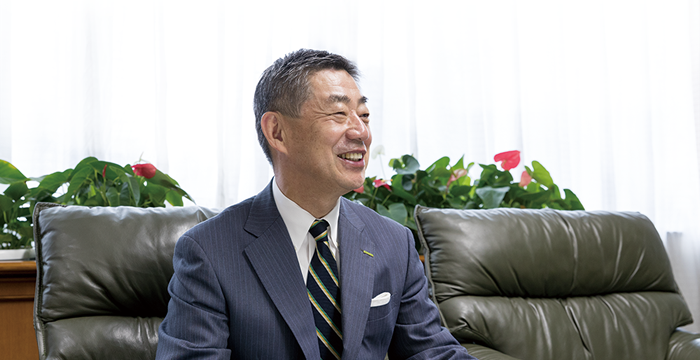 A message from Mr. Saraya about our pursuit of the SDGs in 2019. 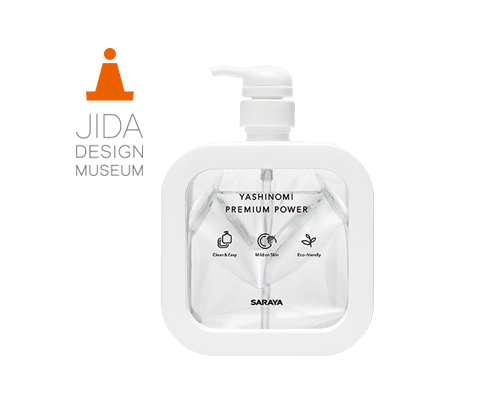 Yashinomi Premium Power has been selected for the “JIDA Design Museum Selection Vol.20” by the Japan Industrial Designers Association, which will be held at the AXIS Gallery in Tokyo from January 17 to 22. 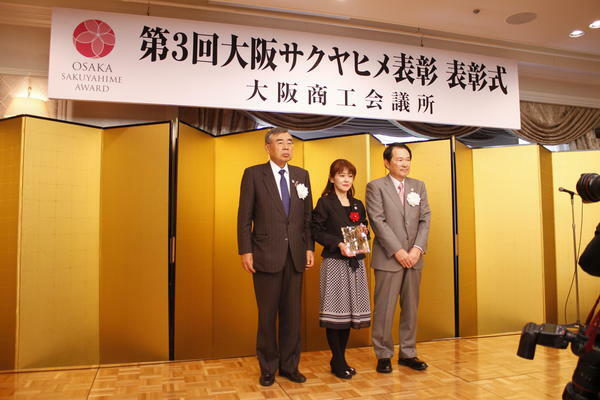 The Osaka Chamber of Commerce and Industry has awarded Mrs. Emiko Kawamukai, General Manager of the Bio-Chemical Laboratory at the Product Development Division in SARAYA, for her inspiring career at the 3rd “Osaka Sakuyahime” award ceremony on December 6, 2018. 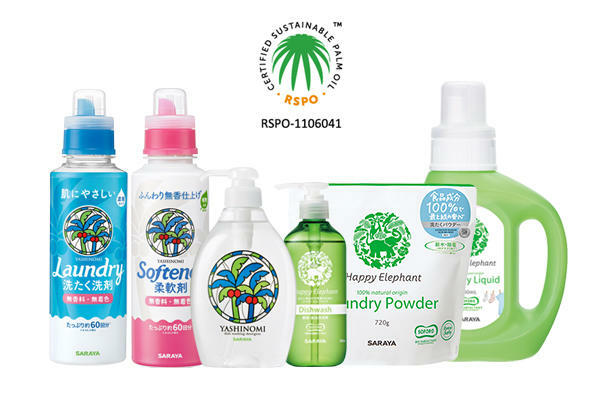 SARAYA attends the "Sustainable Palm Oil Conference 2018 / JaSPOC Post Olympic Games, Looking to palm oil procurement in 2030". Protecting Patients Everywhere. 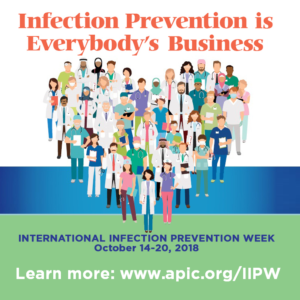 Join your friends, family members, and healthcare professionals in celebrating International Infection Prevention Week (IIPW), October 14-20, 2018! 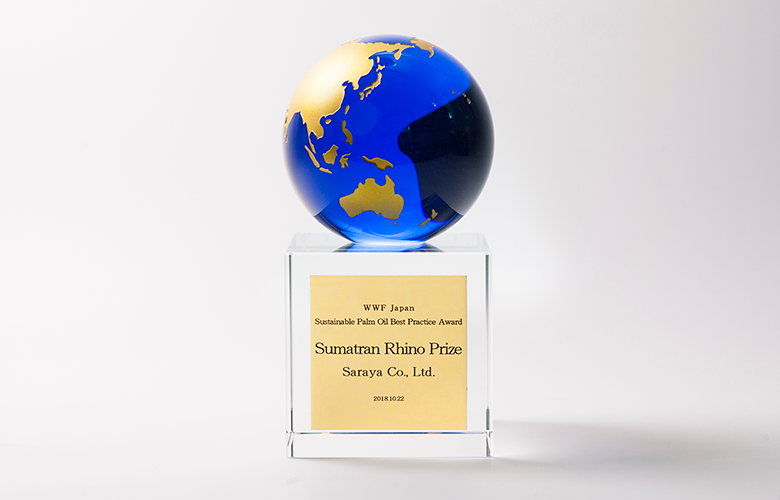 The Green Purchasing Network (GPN) announced on September 7, 2018, that SARAYA has been awarded first place in manufacturing thanks to its efforts with palm oil. 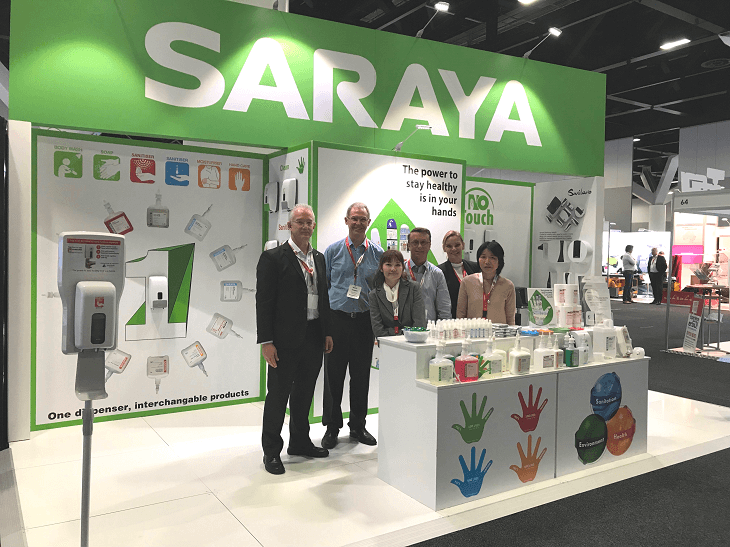 SARAYA was pleased to exhibit at the ISSA Cleaning and Hygiene Expo held in Sydney Australia 29th - 30th August 2018. The leading tradeshow for the professional cleaning industry in Oceania, the ISSA Cleaning & Hygiene Expo 2018 brought together hundreds of cleaning industry professionals from across the region for two days of networking and educational opportunities. From May 15 to 18, 2018 it was our pleasure to welcome you on our booth. 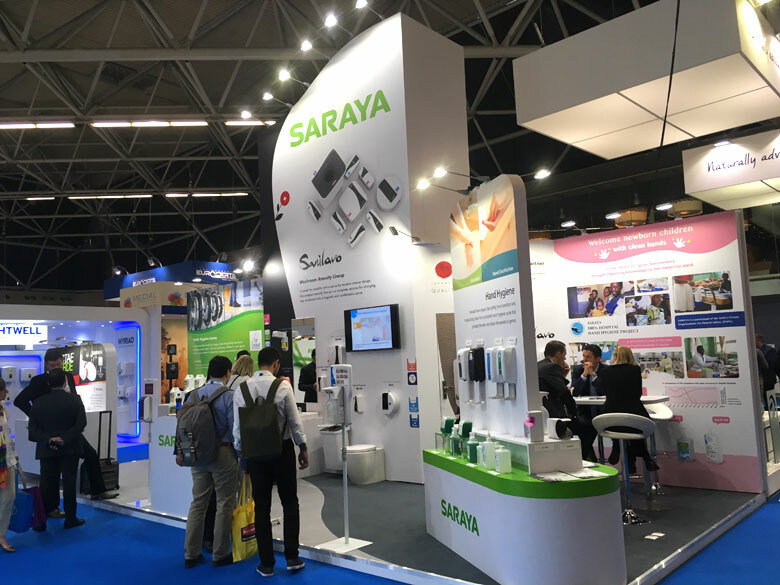 The 2018 edition of Interclean Amsterdam has been the largest, most international exhibition yet, made up of busy days. SARAYA products used throughout the PyeongChang 2018 Olympics and Paralympics Winter Games! We are happy to share that SARAYA professional products are supporting the PyongChang 2018 Olympic and Paralympic Winter Games. Hand soap, alcohol sanitizer, kitchen detergent, as well as other items are in use in the kitchens and cafeterias, protecting the athletes and observers from foodborne illness. 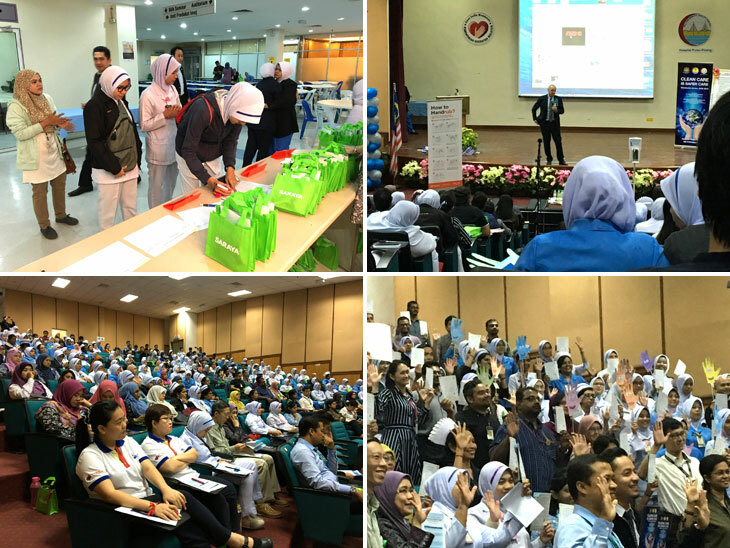 On 4th February, the Infection Control Seminar “CLEAN CARE IS SAFER CARE” was held in Penang, Malaysia with Professor Pittet from Geneve University Hospital by the Penang State Health Department and the Malaysia Ministry of Health. Copyright © Saraya.Co.Ltd 2019 All rights reserved.